For this review, I am taking a look at their Recoil model. If you read my past Gargoyles review, you know how highly I speak of the company and their products. I whole-heartedly believe in the principles that they follow in designing their products. In fact, I believe in their quality and performance so much that since I had the opportunity to review some of their other products for my previous review a few months ago, I have used them almost exclusively. I look forward to their continued growth in the high-end running market and will continue to provide you with an overview of their products along the way. 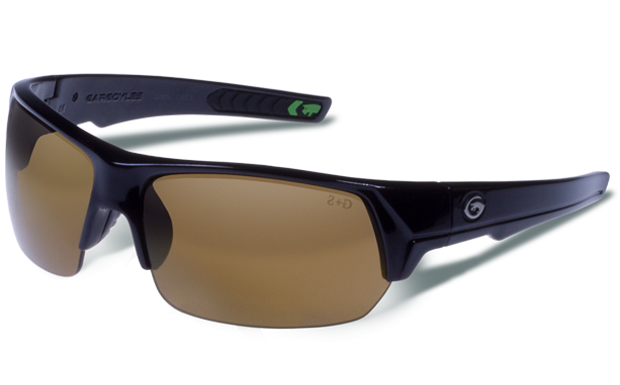 DISCLAIMER: I am currently supported by Gargoyles and they provided me with these sunglasses for this review. Recoil is a functional, light-weight sport frame who versatility caters to a number of different uses, whether driving, running, biking, hunting, or catching a baseball game. It features locking hinges so that the stems stay open or shut. The half-rim design minimizes obstruction in the viewing area. 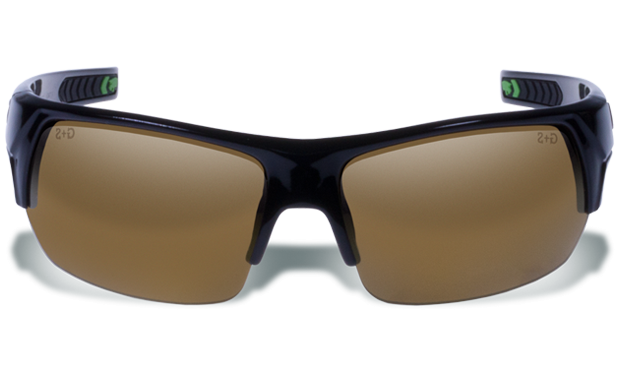 The Recoil comes with polarized, treated lens designed to minimize glare, reduce smudging, and repel water. This may really be the only category for which I can mark down the Recoil as it was a bit tight around the ears, which resulted in a little bit (not much) of discomfort after about two hours of wearing them. Of all Gargoyles models that I have tested in the past, these may have the least amount of rubber grip on the stems of all of them. You can feel the plastic on the stems as you are wear them. I suspect that adding a bit more rubber padding to the stems may alleviate much of the issue here. Still, they caused no issues on sub-two hour runs or during everyday wear. Here are a couple pictures showing the fit on my face. As typical with every other pair of Gargoyles that I have tested, they excel in this area. I tested the bronze polarized lens model, which I think is becoming my preference for trail running. The bronze lens provides the perfect color and contract for running on trails and spotting obstacles and the clarity is as close to perfect as you can get. The advertised treatments on the lens worked as promised to maximize clarity, with no smudging or glare that would otherwise be a problem. Lastly, I experienced a bit of fogging at times. The lens, given its wrapping face coverage, could benefit from more of a vented design. The performance of these glasses were great on the run, especially since I group these in more with a multi-purpose model. There was only a hint of bounce on some faster downhills, but it was minor. Like the feedback I provided in the comfort section above, I think this would also be easily remedied with a bit more rubber on the stems. 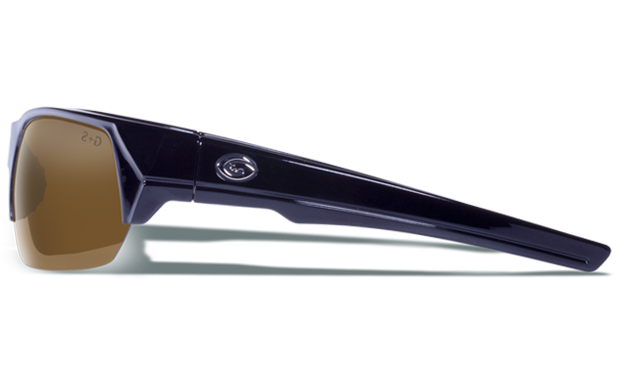 The Recoil have a thick and sturdy frame, which gives them a very solid feel. The lens are thick and virtually indestructible, which is also nice in the event of the inevitable fall. No issues in this area here. Overall, they look great for everyday wear, although they looked a bit big on my face. This is a great thing for protecting the eyes, but when wearing them around, I prefer something a little smaller to match my somewhat smaller face. Aside from that, they have a sporty look to them. I would liken the Recoil the half-frame version of the Havoc, which I previously reviewed. They are very similar in design, with the Recoil being a half frame (which I prefer for running trails because of its less-obstructed viewing area). I said the Havoc is a very versatile pair of sunglasses in that you can wear them while driving and then immediately on the trails without ever taking them off of your face…the same goes for the Recoil. I think these are a great option for everyday wear and shorter runs. Maximum eye coverage which should do nicely protecting the eyes from debris, tree branches, etc. Versatile; caters superbly to multi-purpose usage. Definitely not enough padding on the stems, which takes away from the comfort during extended periods of athletic use. I will use them for everyday use and for shorter runs, but not likely during an all-day ultra race. This entry was posted in Gear Reviews, Product Spotlight and tagged Accessories, eyewear, Gargoyles, gear review, product review, running, sunglasses, trail running, ultra running by Ultrarunner Joe. Bookmark the permalink. How do I enter on the Facebook page? All good and thank you!! I asked the folks at Gargoyles and they suggested the Recoil (the ones you commented on here). He said they always recommend this to anyone that asks about the Cache.